Jesus is God’s son, sent by God to become human like us. Though he is eternal, with God at the beginning of time, he was born on earth of a virgin, by the power of the Holy Spirit. Jesus was at once truly God and truly human. We believe him to be the Messiah chosen by God to show God’s love for the world. For the sake of a sinful world, Jesus was condemned to death on the cross. But death could not contain him. On the third day after his execution, Jesus appeared among his followers as the risen, living Lord. By this great victory God has declared the good news of reconciliation. The gap that separated us from our Creator has been bridged. • We are saved by the grace of God alone. • Our salvation is through faith alone. • The bible is the true norm of doctrine and teachings of the church. Are there different kinds of Lutheran churches? There are several different Lutheran bodies in the United States. Lutheran Church of the Resurrection is a member of the Evangelical Lutheran Church in America (ELCA). How do Lutherans look upon the Bible? Luther said that the Bible is the “manger in which the Word of God is laid”. While Lutherans recognize differences in the way the Bible is studied and interpreted, it is accepted as the primary and authoritative witness to the church’s faith. The Bible bears a remarkable testimony to the mighty acts of God in the lives of people and nations. In the Old Testament is found the vivid account of God’s covenant relationship to Israel. In the New Testament is found the story of God’s new covenant with all creation in Jesus. What sacraments do Lutherans accept? Lutherans accept two Sacraments. Although they are not the only means of God’s self-revelation, Baptism and Holy Communion are visible acts of God’s love. Lutherans accept infant Baptism through which we believe God freely offers grace. Lutherans believe that in Holy Communion those who come to the table receive in bread and wine the body and blood of their Lord. This gift is itself the real presence of God’s forgiveness and mercy, nourishing believers in union with their Lord and with each other. What is Lutheran Church of the Resurrection’s communion practice? All baptized persons who hunger and thirst for our Lord’s real presence are invited to the communion table. Worship with Holy Communion is offered each week. What must a person do to become a member of Lutheran Church of the Resurrection? To become a Lutheran, only Baptism and instruction in the Christian faith is required. If you are already baptized in the name of the Father, Son, and Holy Spirit, it will be necessary only to attend membership classes at Lutheran Church of the Resurrection and thus signify your desire to become a formal part of its community. 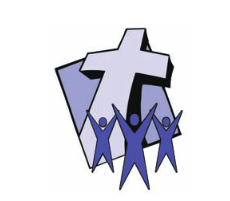 Active members of other Lutheran churches will be received by transfers and are encouraged to attend new member classes to learn about Lutheran Church of the Resurrection and its ministry opportunities. All people are welcome to worship at Lutheran Church of the Resurrection.